We had been fans of Joy for some years now, following her on her foodie trails never fails to bring a smile (and a tummy rumble) to anyone. Her recipes are easy to understand and always brings about good results. So, when we were browsing at the bookstore one day and saw her cookbook, zzz knew he had to get it “to support her cos we had been using so many of her recipes”. And it was not a disappointing buy, these cream cheese muffins (was originally a cream cheese pound cake in her book) are so delicious! Preheat oven 160 degree celcius. Mix flour, baking soda and salt in a bowl. Cream butter, cream cheese and sugar till fluffy. Add eggs one at a time. Add vanilla essence and vinegar. Add flour and beat till just incorporated. 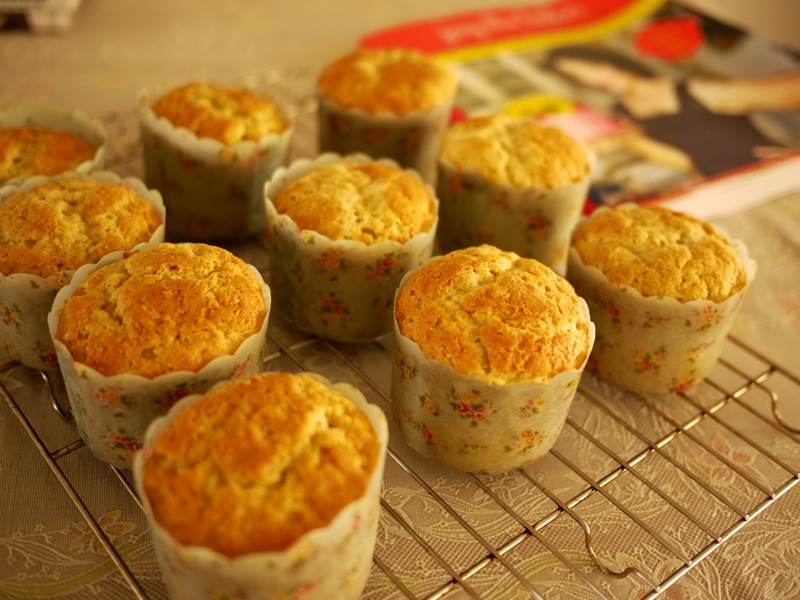 Scoop into muffin liners up to halfway. Bake 35-40 minutes. 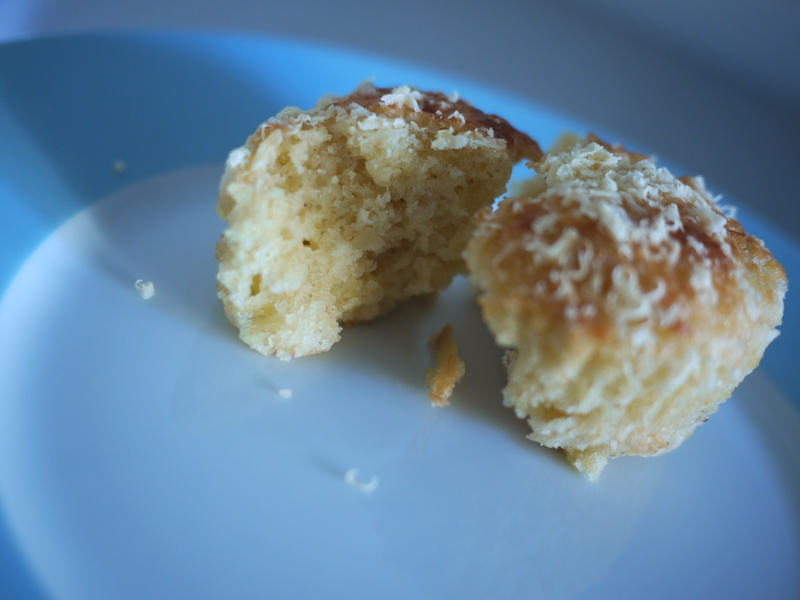 This entry was posted in Bake and tagged cream cheese, joy the baker, muffins on June 16, 2012 by three3seconds. Most of us love cheese. I know a fair bit of Singaporeans are lactose intolerant (including zzz, to some extent) but despite that, I have not met anyone who doesn’t like cheese. The pieces of soft yummy ‘goo’ melting and swooshing a mix of savory palette sensations in your mouth. Hmm. Who can resist that? Well, unfortunately,cheese is a luxury produce in Singapore. Even the 12 pack Kraft cheddar cheese we grew up with is not a typical grocery item. But my mum, being ever doting mum, would always buy either the laughing cow brand (which I love to eat as a whole and allow it to slowly melt in my mouth) or the Kraft cheddar pieces sandwiched in our gardenia breads for breakfast or a snack. Ah. childhood. So, you can imagine the happiness (and of course disgust at the exorbitant prices here) when we are in Italy and Australia and we are practically stuffed with infinite choices (ok, i am exaggerating) , all at very affordable prices, yes, even in Euros and Australian dollars. Spoon into lined muffin tins, sprinkle Parmesan or percorino generously. Bake 20-25 mins in 180degC oven. 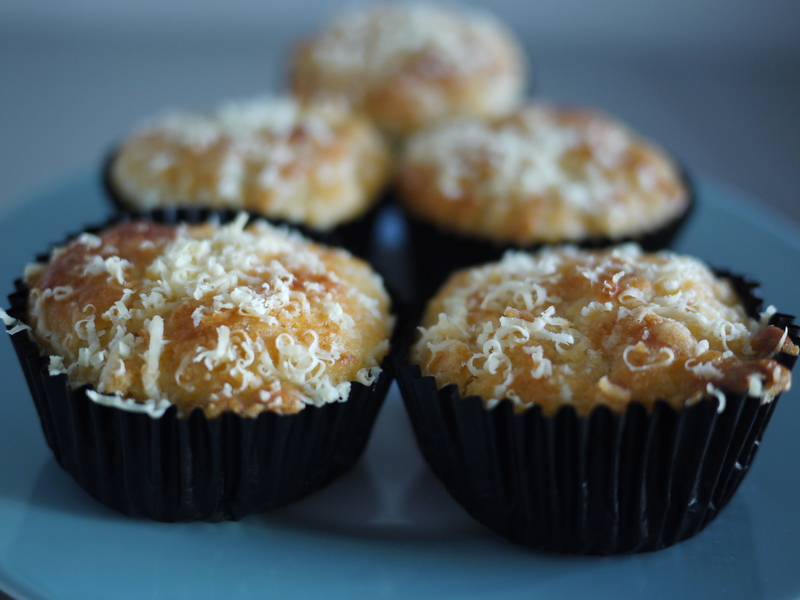 This entry was posted in Bake and tagged cheese, muffins on August 28, 2011 by three3seconds. I knew I needed to make this when I saw the recipe. Well, I was supposed to bake this. But I was so preoccupied with work (?!) that zzz decided to start first. Rather good thing though. zzz finished everything (including the washing up) before I could finish my work. Grease your muffin tin well if you are not using muffin paper liners. Turn the heat to high and mix the apples with the cinnamon and sugar well until sugar has melted. Turn the heat to low to let the apples soften. Once apples have softened, take the saucepan off the heat and let the mixture cool. Once cooled, mash the apples by hand or in a food processor. Then pour apple mixture into a large bowl. Stir in oil, 1/2 cup brown sugar and 1 egg till combined. Stir in whole wheat flour, plain flour, baking soda, baking powder and salt until flour is completely mixed in. Stir in sour cream and vanilla extract until combined. Pour the mixture into the muffin tin and fill to the brim. Afterwhich, take out to rest and after 15 minutes, take the muffins out of the tin onto a cooling rack to cool completely. 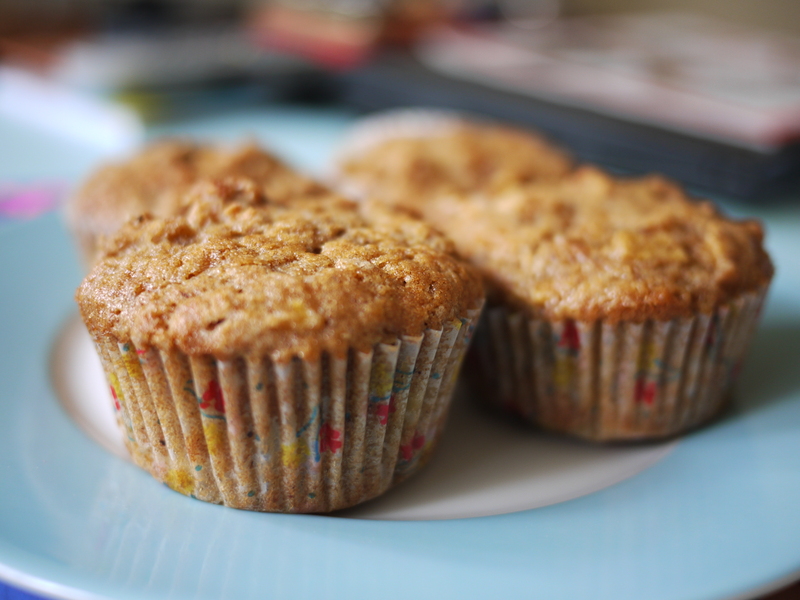 This entry was posted in Bake and tagged apple, cinnamon, muffins on June 29, 2011 by three3seconds.